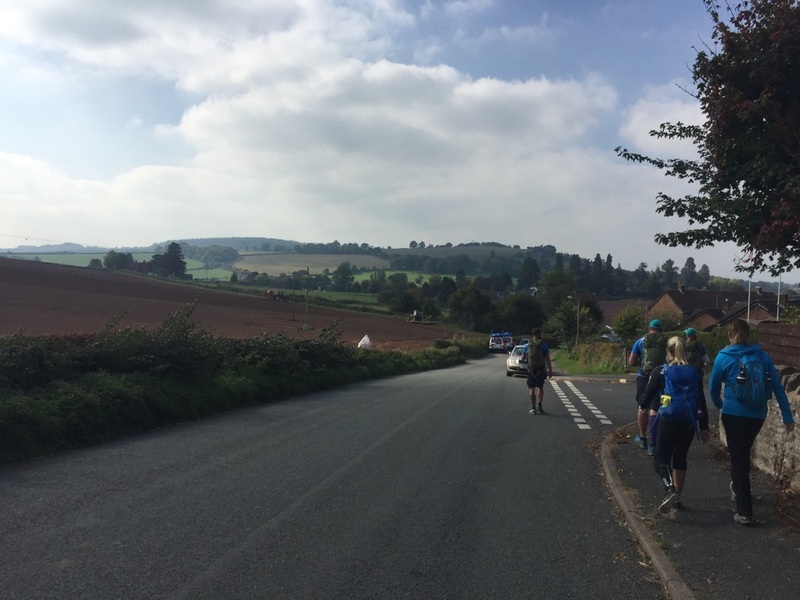 Hereford to Monmouth. Saw some beautiful scenery today as we zigzagged throughout the countryside. Stopped outside a country restaurant for lunch and were invited in. Proprietor provided us with a place to eat our food, and free drinks as well. Probably would have stayed there all day if we didn't have to walk.